At breakfast: Include protein and healthier carbohydrates (e.g. Eggs or baked beans on wholegrain toast with grilled tomato (avoid spreads on toast as they lack protein to keep you full), Greek yoghurt with natural muesli or porridge made on low fat milk with a small amount of fresh fruit or LSA. At lunch & dinner: Include protein and ½ plate of coloured vegetables (e.g. Ham and salad wrap, summer salad with prawn, mango and avocado, roast meat with plenty of vegetables or a steak sandwich with a large side salad – avoiding chips as the sandwich already contains carbs in the bread). For snacks: Choose fresh seasonal fruit, unsalted nuts and seeds, plain popcorn, wholegrain crackers and light cheese & tomato, a tub of yoghurt or boiled eggs. For dessert/ treats (watch your portions and choose occasionally): Yoghurt parfait, dark chocolate, frozen yoghurt, fresh seasonal fruit, 1 glass of wine/beer/ sprits, small piece of cake. As the weather is still warm in Australia at Easter, be cautious of hidden sugars in some of your refreshing drinks. Many drinks like large smoothies or iced coffees can have just as much energy as a fast food meal. Also, don’t forget that alcohol delivers a large amount of energy. Aim to only have an alcoholic drink on 1-2days of the week. Avoid/ choose very occasionally: Iced coffee, milkshakes, smoothies, soft drinks, cordial, juice, energy drinks, flavoured water, alcohol. Drink freely: Plain water (flavoured with mint, rosemary, lemon or berries), unsweetened tea and coffee, mineral/ soda water. Offer to help out the host. Grab a platter and mingle — you can’t eat and serve at the same time! Hold on to your glass and napkin. With your hands full, it’ll be harder to keep dipping into bowls of nuts and chips. Practice the one-in-three rule for parties or work functions. Take only one canapé/ treat for every three you’re offered from the host or a work colleague. One of the great things about the warm weather is that it makes you want to eat light meals. Crisp salads are an excellent way to lift your fibre intake and lower your meal’s energy load. Add plenty of vegetables to each meal to fill you up and avoid that ‘over stuffed’ feeling. To ensure your salad is a satisfying meal, add protein-rich grilled chicken, lean meat, prawns, hard-boiled eggs, beans or fish to the mix. Add fresh herbs for flavour and summer dressings such as fresh lemon juice. Watch portions of creamy dressings, cheese, crispy noodles, rice and nuts. Fruit also makes a deliciously surprising salad ingredient. Try mouth-watering combinations of watermelon and feta, pear and avocado, or, for a tropical twist, pomegranate seeds and sliced mango. Water is your best friend for a healthy weight. Stash a water bottle in your bag and start your meal with a few mouthfuls. Drinking water can also prevent overeating and help you to feel full quicker. At social events, make at least every second drink a glass of water (especially when drinking alcohol). At social events, choose a smaller plate to eat from (e.g. ask for a bread and butter plate instead of a dinner plate). Choose a tall, skinny glass to drink from and consider adding ice to dilute your drink. If you feel like dessert try to have a smaller portion or share with a friend. Our workouts are often the first thing we drop when we’re busy, yet that’s exactly when we need them! Exercise relieves stress, burns energy and can tone your muscles — three good reasons to get moving every day. You can fit exercise into even the busiest schedule. Do your shopping during the least busy hours, and you can power-walk around the stores. At the same time, ramp up your activity level by swapping escalators for stairs. Have your Easter get-togethers on the go, too. Encourage everyone to take a scenic walk instead of sitting in a restaurant, go for an stroll after lunch or jump in the pool with the kids for some extra activity. Instead of chocolate for your loved ones try investing in gifts that will assist them to live a healthier lifestyle. Instead of buying everyone chocolate, make your loved ones some home made chutney instead. Or buy them some fitness equipment, a new book or even a lotto ticket. Most people get so much chocolate at Easter they end up making themselves sick off it or just throwing it away. 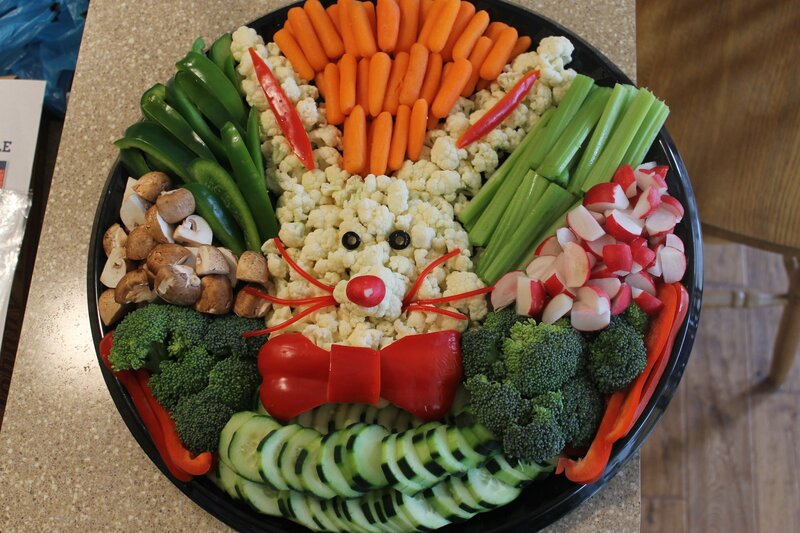 My mum has a beautiful tradition she has always done at Easter. She give my siblings and I a small bag with a few healthier treats, protein balls, salted nuts etc, a healthy magazine (eg. Women’s Health), a lotto ticket and some nice herbal tea. We always look forward to the ‘treats’ in our bag and never even miss the chocolate! At the end of the day, remember we are all human and if you make yourself sick off chocolate or write off the entire 4 day holiday then just breathe and move on. Not the next week, not the next Monday or even the next day. Pick yourself up and move on the VERY NEXT MEAL!! Make a healthy choice the very next meal – you can’t change the past but you can change your future by starting now! Lace up your shoes and go for a power walk and add some extra veggies to your next meal. A little indulgence is perfectly fine but don’t let it be an excuse to fall off the wagon entirely!